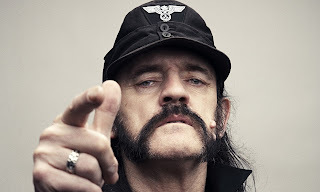 I know, it's not comics, but I just heard Lemmy died. Lemmy?? Died??? How is that even possible? For an eon, the joke has been: When World War III happens, the only survivors will be Keith Richards, Lemmy and cockroaches. I guess all we can do is play a song. Here's the moment that iconic rock n'roll met iconic comedy, the moment when everybody in England went: Wow! Motorhead! It's Lemmy on The Young Ones. Not many bands would translate well in to comics but along with the Ramones, Motorhead for sure.